Learning is the first step to knowledge and (what is more important) understanding. In this article we present a short review of selected educational books dealing with gambling activities. Some of these books possess an overview of several casino activities; the others maintain the certain sphere of knowledge, specific themes and areas. Also you may find some life experience observation, a kind of autobiographical books of those who dedicated many years of life to blackjack card game or gambling activities in whole. The information covered in these educational books may deal with helpful game analyses, strategies and rules observation, principal warnings and the most useful tips, amusing stories and general warnings. If you are looking for a good reading matter then you've come to the right place. 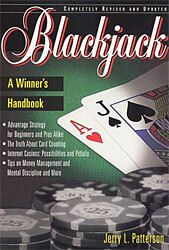 Without a doubt a must-have book for any online gambling enthusiast. The book is highly favored by the beginners as much as by the mature players. The author describes serious changes in the casino online industry over the past years. The next educational book presents the very basics of casino games and gambling activities in whole. This guide is quite easy to read and it beautifully fits as a starting point for beginners. The data is given clearly and understandable. This book provides you with a lot of techniques and advices for online gambling (safe and joyful). But it must be mentioned that the John G. Brokopp book is a little bit out of date due to its publishing date. In this piece of media the player may find the basic strategies for the most casino games + their detailed analyses. Odds tips and chances review is also put in this book. Both suitable for beginners and advanced players, live playing and online performing. Here we find the theoretical review of many casino games; analysis of its basics and mechanisms. The math methods are applied in this book. Malmuth's book is more suitable for advanced players and those who are keen in theoretical activities. This guide presents a valuable intro and clear explanation of many casino games and activities. Also it's not out of place to mention for readers to pay their attention to the book publication date. Guerrilla Gambling (Frank Scoblete) - Bonus Books. 339 pages - 1993. Such educational books as the Guerrilla Gambling despite their publication date may be helpful for some players. This intelligent database provides the player with sound and interesting strategies for many casino games. Mostly the intermediate players should pay their attention to this book.